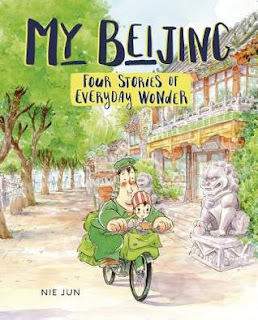 Published in English for the first time here in the U.S., we get a glimpse of China's well-known cartoonist Nie Jun. It truly is what the cover says, "four stories of everyday wonder." We first meet Yu'er, a young girl who aspires to be an Olympic swimmer, yet has some kind of physical disability. With her Grandpa and no pool, they rig a flying apparatus so she can practice swim strokes. All four stories have a dream-like quality, imaginative in the caring and love in the 'hutong', a neighborhood formed by lines of courtyard homes. Grandpa is a retired postman, tells a story of meeting Gramma who has now passed on, as a young girl receives a special stamp that he's been looking for. There's also a dream-like story of a boy who protects Yu'er from bullies who ends up taking her to his bug paradise. He tells her "In the summer, all it takes is one green leaf and they've got a stage." He seems suspiciously like Grandpa! For anyone who loves reading stories that include another culture's ways of living, it's a delightful read. February is the time for new books published, and Laura's book published last week is beautifully timed, because it follows the path to spring from melting puddles through later events, all the way to, well, you must read it to discover that end. In her author's note, Laura reminds us that we can live anywhere this time of year to discover the beginnings of the slide to spring. "You just have to notice." And notice she does, from "Big beaver + Big beaver = little beaver" to "1 dandelion x 1 breath = 100 parachutes, the equations follow spring's awakening. 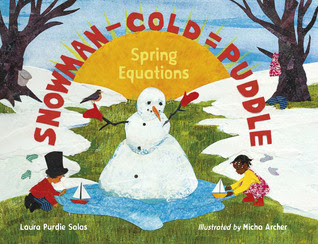 Each page has a brief paragraph explaining a bit more about the equation, with Micha Archer's detailed collage illustrations filling in the "picture"! The backmatter adds an author's and illustrator's note, a short explanation of 'when spring starts', and a list for further reading. I'd love to share this with a class, hoping they will "notice" and write their own equations! 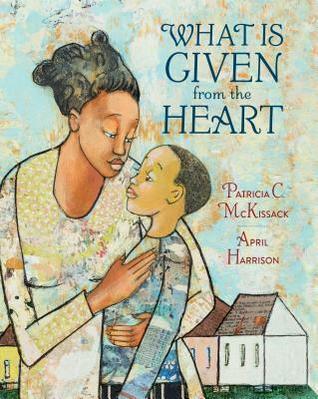 One of Patricia McKissack's last stories, with debut artist April Harrison's mixed-media illustrations and her own heartfelt dedication, first to her grandchildren and then to Patricia herself. Don't forget to read those words, too. The story shares that James Otis and his mother have come onto hard times. His father has died, they've had to move to 'the bottoms', a rainstorm flooded around them on Friday, the 13th, seems like, as the text tells, "Misery loves company." But, they have a loving community in their church that this time calls for help for one family, a mother and child, who lost everything in a fire. Mama takes out the best tablecloth and begins to make it into an apron for the woman, tells James Otis he needs to find something for the girl. There is a calm sweetness in the story, like all of Patricia McKissack's books, that everything will be all right, that even if it seems there is nothing left to give, "What Is Given from the Heart" turn out to be a best thing. The illustrations of collage and muted watercolors are lovely. 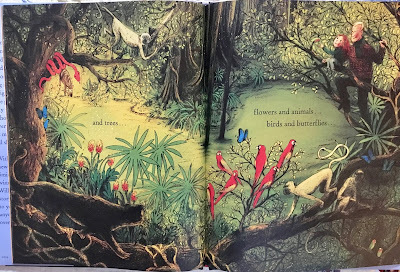 This is John Burningham's first book, over fifty years old, and it won Britain's Kate Greenaway Medal for most distinguished work in children's book illustrations. It is a delightful tale of Borka, as the title tells, one of a new flock of six, but the one who had no feathers. His mother, Mrs. Plumpster, knitted him a sweater, and he was teased, and eventually, when the family flew south, he was left behind. The tale might end there, and sadly, but Borka has a life to lead and adventures to have, and he does. 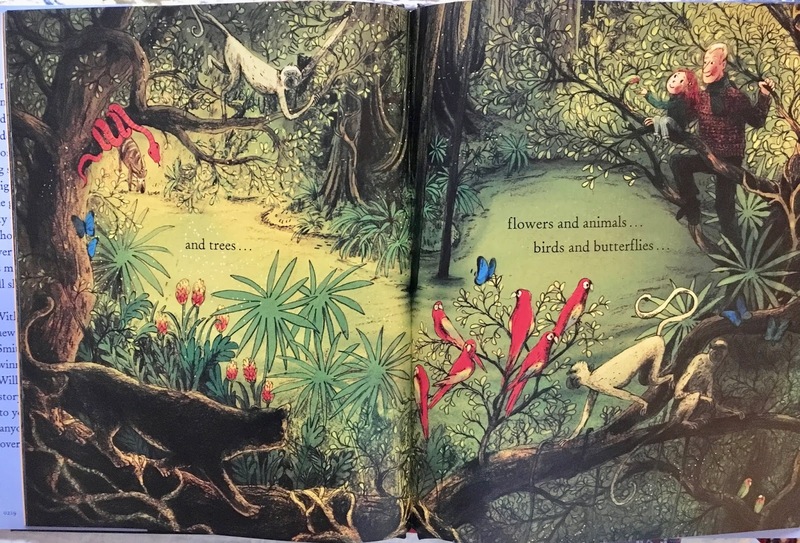 It's a story full of whimsey and enhanced by Burningham's beautiful illustrations. I shared it a couple of years ago but wanted to share again because I've loved Burningham's work for a long time, and sadly, he passed away last month. He won the Kate Greenaway Medal for British Children's Book Illustration for this book and it was his debut book! He won it one other time for my family's favorite, Mr. Gumpy's Outing. If you don't know his work, find some of his books, which are a pleasure to read. What's Next: I have a number of books that wait, and wait some more! Perhaps Educated by Tara Westover? You've shared several new-to-me titles that I need to add to my list right away. However, I LOVED the descriptions of the noticeable changes in Snowman - Cold = Puddle. This sounds like something my two youngest will LOVE (and perhaps use as a mentor text). Goodness, even Borka is new to me! I sure hope you enjoy Educated, Linda. I checked it out a few weeks ago, but had to return it before I finished. It's on my #MustReadin2019 list, so I'll hunt it down again very soon. I have started Educated, Shaye, immediately interesting, such a voice from the first page! Enjoy those books new to you! John Burningham is a favorite from long ago! Thanks! Borka! Mr Gumpy's Outing! 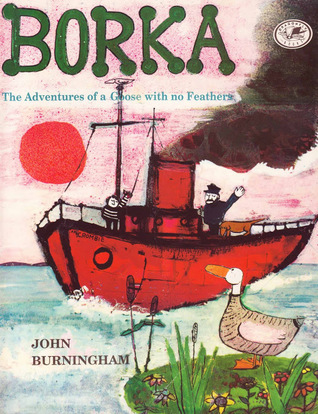 I do love John Burningham. What a treat to find him here. 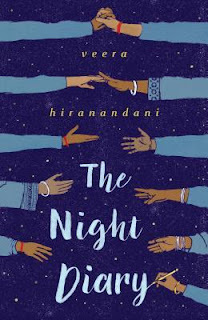 I am reading Night Diary right now and really enjoying it. Nisha has such a strong voice and the secondary characters are all so believable and compelling. Glad that Burningham's books are favorites, too. And yes, I loved Nisha's voice & the development of all the characters, so subtle, but strong. Thanks, Elisabeth! Stardust is a new title for me. Thank you so much for the recommendation! What is Given From the Heart is on my TBR list. The illustrations alone are gorgeous so glad to hear the story is beautiful too. Have a great week Linda! 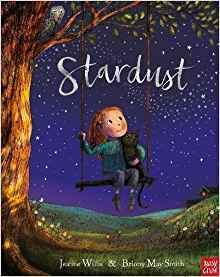 Thanks, Laura, Stardust as you see is just out, a lovely & heartwarming story. And I loved those illustrations of What Is Given From The Heart, too! I love that your lists show such great diversity in stories each week, and most of them are new to me this week. It'll be fun finding them and enjoying them. Thanks for sharing and have a great week! You're welcome, Jana. I hope you'll discover some new great books here. I found The Night Diary insightful since I didn't know the history of the Partition. Have a great week! Thanks, Lisa, it gave more than I knew, too. Thank you, Linda! I'm so glad you liked SNOWMAN:>) And many books here to add to my to-read shelf. I haven't seen any of these! I always love your books, Laura, happy to share! Enjoy the ones you find! Thank you! Sending you light and love from Singapore! Thanks, Myra, I hope you find that wonderful book soon! I am fortunate that our library system has new books often at the time they are published. Winter has had its ups & downs, but we have not had it as bad as others in the east. Happy to hear your sweet wishes, and sending them back to you as well. I need to read The Night Diary soon! I've owned it since it published but it's been relinquished to that ever growing stack of books.... Hopefully soon! I absolutely loved What Is Given From the Heart. It's a book I want to read to all kids - just feels right in today's world! I understand. I've done that with some books that I really should read. There are so many! And yes, I loved What Is Given From The Heart, too, really lovely. Thanks, Michele. I've been very curious about The Night Diary. Sounds like an incredibly moving read! It is to me, Nicole. I hope you enjoy it, too!